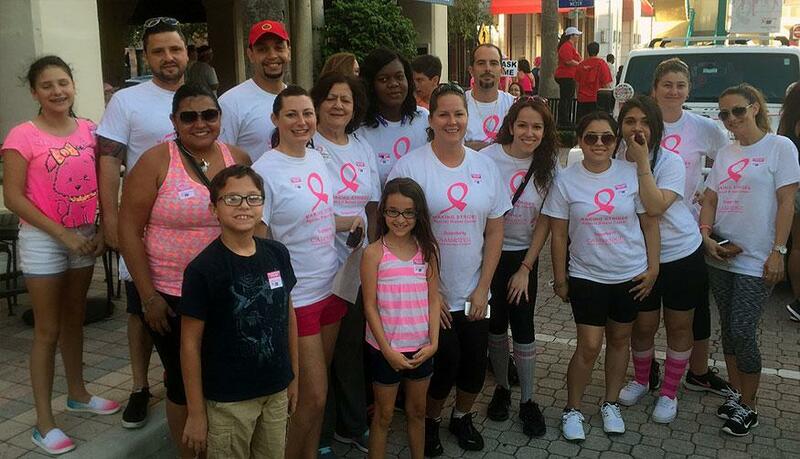 Cambridge’s students, staff & families volunteered to participate in the annual “Making Strides Against Breast Cancer South Palm Beach Walk” on October 25th from the Mizner Park Amphitheater. It was a crisp October morning in Boca Raton for the 3.1 Mile walk with a crowd estimated to be over 16,000 people! Friends, sisters, husbands and children gathered together to support this event. It was rewarding to see survivors smiling and walking with pride. Cambridge’s core values and teaching will remain focused on “giving back” to the community!